Yiddish poems about mothers, in memory of my mother, Miriam Pearlman Zucker, 1914-2012. Rokhl (Haring) Korn (1898-1982) was born near Podliski, East Galicia on a farming estate. Her love and knowledge of nature is reflected both in her poetry and prose. She was educated in Polish and started writing poetry at an early age in Polish. At the start of the First World War, she and her family fled to Vienna, then returned to Poland in 1918 and lived in Przemysl until 1941. Korn’s first publications were in Polish in 1918 but pogroms against the Jews of Poland after the war led her to write in Yiddish, though she had to be taught to speak, read and write the language by her husband Hersh Korn whom she married in 1920. Her first Yiddish poem appeared in the Lemberger Tageblatt in 1919. 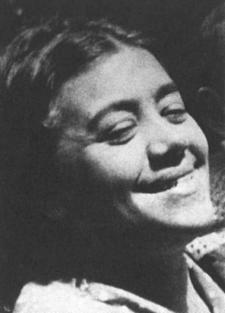 In 1941 Korn fled to Uzbekistan and then to Moscow, where she remained until the end of the war. Her husband, her mother, her brothers and their families all perished in the Holocaust. She returned to Poland in 1946 and in 1948 immigrated to Montreal, Canada where she lived and remained creative until her death. 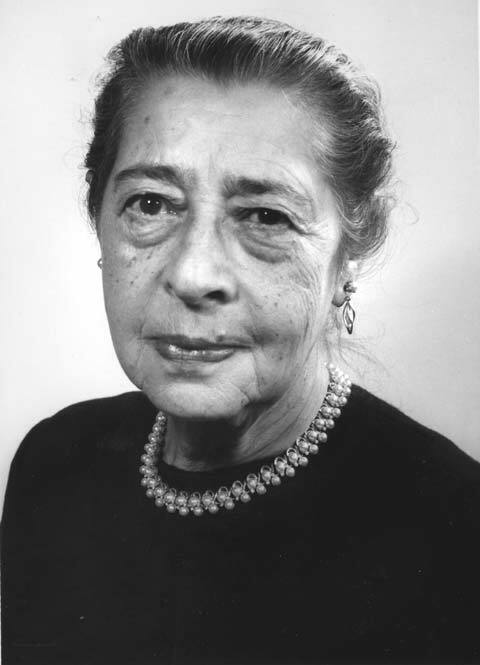 She was a major figure in Yiddish literature and in 1974 she won the prestigious Manger Prize. Korn was extremely prolific. Her works include: Dorf, lider (Village, poems). Vilna: 1928; Erd, dertseylungen (Land, stories).Warsaw: 1936; Royter mon, lider (Red Poppies, poems). Warsaw: 1937; Heym un heymlozikayt, lider (Home and Homelessness, poems). Buenos Aires: 1948; Bashertkayt, lider 1928–48 (Fate, poems 1928–48). Montreal: 1949; Nayn dertseylungen (Nine Stories). Montreal: 1957; Fun yener zayt lid (On the Other Side of the Poem). Tel Aviv: 1962; Di gnod fun vort (The Grace of the Word) Tel Aviv: 1968; Af der sharf fun a rege (The Cutting Edge of the Moment). Tel Aviv: 1972; Farbitene vor, lider (Altered Reality, poems). Tel Aviv: 1977. Asya Kuritsky-Guy (1932-2009) was born in Vilna. Her father was a painter who wrote plays that were never produced. During the Second World War she and her parents fled to Soviet Russia. At the age of eight she began writing poetry in both Russian and Yiddish. When she was repatriated to Poland after the war she worked in an orphanage and created literature – poems and plays – for the children. In 1951 she emigrated to Israel and studied in a drama school there. For a brief time, from 1956-1856, she acted in the Habimah theatre. 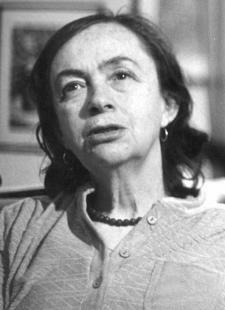 From 1948 on her poetry was published in a number of publications, in Poland, America and Israel. None other than the great poet Yankev Glatshteyn wrote the foreword to her debut volume Tsvyagn-tsiter (The tremble of Branches). In Israel she published the books Tsvaygn-tsiter, 1972 and Nit kin albatros (Not an albatross), 1981. Beyle Schaechter-Gottesman (1920 - ) was born in Vienna, her mother was a remarkable traditional folksinger and her father, a passionate Yiddishist. She and her family left to settle in Czernowitz, Ukraine (then Romania), when she was a young child. Thinking she wanted to be an artist, Schaechter-Gottesman went to Vienna to study art but was forced to return to Czernowitz when the Germans invaded Austria in 1938. In 1941 she married a medical doctor, Jonas (Yoyne) Gottesman, and together they lived out the war in the Czernowitz Ghetto along with her mother and several other family members. She, her husband and daughter settled in New York in 1951. Schaechter-Gottesman’s first book of poetry, a children’s book, Mir Forn (We’re Travelling) appeared in 1963. Her books, nine in total, have appeared regularly since then. They include poetry for adults, children’s books and song books. Her most recent book is Der tsvit fun teg: Lider un tseykhenungen (The Blossom of Days: Poems and Drawings), 2007. She has recorded three CDs of her songs and one recording of folk songs. Beyle has played a central role in reviving and inspiring interest in Yiddish song and poetry among a new generation of artists, and her songs have been performed by many of the major names in Yiddish music. She is the only Yiddish poet ever to be awarded a National Heritage Fellowship from the National Endowment for the Arts, the top honor for folk arts in the United States. 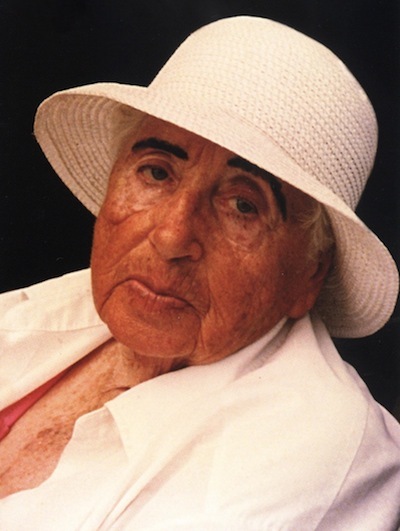 Malka Lee (1904-1976) (pseudonym of Malka Leopold-Rappaport) was born in Monastrikh, Eastern Galicia into a Hasidic home. During the World War I she and her family fled to Hungary and then to Vienna where they lived until 1918. She studied in a Polish elementary and high school. She began writing poetry in German but in 1921, the year she emigrated to New York, she turned to Yiddish. In 1922 she made her literary debut in Di feder, NY, and after that she contributed poems, stories and memoirs to many newspapers and magazines including: Fraye arbeter shtime, Frayheyt, Tsukunft, Tog-morgn-zhurnal, Idishe kemfer, Di goldene keyt and Kinder-zhurnal. Lee published 6 volumes of poetry: Lider (Poems), 1932, Gezangen (Songs), 1940, Kines fun undzer tsayt (Lamentations of our times), 1945, Durkh loytere kvaln (Through pure springs), 1950, In likht fun doyres (In the light of generations), 1961, Untern nusnboym (Under the nut tree), 1969 as well as her memoirs Durkh kindershe oygn (Through childish eyes), 1955 and a children’s book Mayselekh far Yoselen (Stories for Yosele), 1969. Rokhl (Haring) Korn 1898-1982) was born near Podliski, East Galicia on a farming estate. Her love and knowledge of nature is reflected both in her poetry and prose. She was educated in Polish and started writing poetry at an early age in Polish. At the start of the First World War, she and her family fled to Vienna, then returned to Poland in 1918 and lived in Przemysl until 1941. 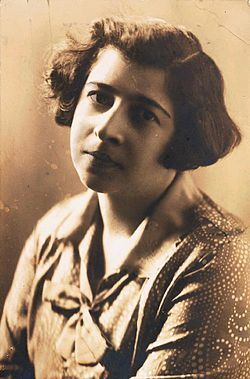 Korn’s first publications were in Polish in 1918 but pogroms against the Jews of Poland after the war led her to write in Yiddish, though she had to be taught to speak, read and write the language by her husband Hersh Korn whom she married in 1920. Her first Yiddish poem appeared in the Lemberger Tageblatt in 1919. The wonderful bilingual edition Paper Roses: Selected Poems of Rokhl Korn, A Bilingual Edition, ed. and trans. Seymour Levitan. Toronto: 1985 offers a fine selection of her work in English translation. Celia Dropkin (1888-1956) was born Celia Levin in Bobruisk, White Russia. She lost her father at an early age and her mother never remarried. She had a high school education and began writing poetry in Russian while still a young woman and was greatly encouraged by the Hebrew writer U.N. Gnessin. When she was about 21 she married Shmaye Dropkin, an active socialist in the Bund party, and in 1912 she followed him to America where he had fled for political reasons. Between 1910-1926 she bore six children, five of whom survived, and around 1918 she began writing poetry in Yiddish. 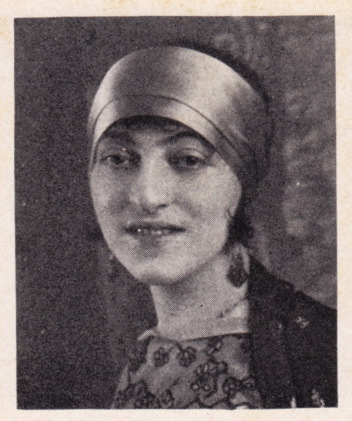 She published in many of the Yiddish publications of the day, including Inzikh, Tog, and Tsukunft. Her books include In heysn vint – lider (In the hot wind – poems; 1935) and In heysn vint: Poems, Stories and Pictures published posthumously in New York by her children. Her poems are remarkable for their sensuality, bold eroticism, and inversion of the reader’s expectations of traditional women’s writing. Chaim Leib Fox (Fuks) (1897-1984) was born in Lodz, Poland. 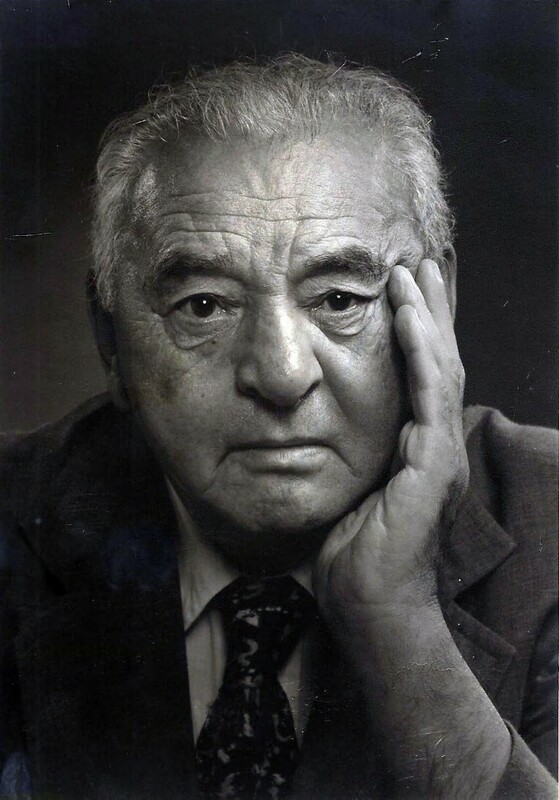 He developed worldly interests even as a yeshiva student, and was soon involved with founding the Yiddish Writers’ Group in Lodz, engaged with the Bund, and then the Zionist workers movement. 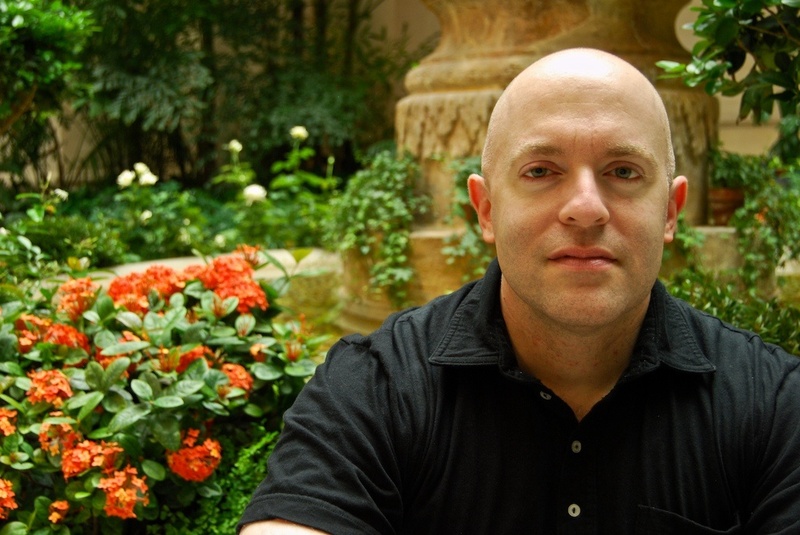 He began publishing articles and poems in journals and newspapers at the age of 17, debuting with poems in the Folksblatt and he published extensively after that time. He published his first book of verse Durshtike lemer (Thirsty lambs) in 1926. When war came, he fled with his expecting wife to the Soviet-controlled Bialystok and then to Kazakhstan. In 1946 he returned to Lodz and subsequently moved to Paris where in 1951 he published another volume of verse, Shoh Fun Lid (Hour of song). Rajzel Zychlinksy (1910-2001) was born in Gombin, Poland in 1910. Her first book of poems, Lider (Poems), published in 1936, included a very laudatory foreword by the celebrated poet Itsik Manger. She and her husband, the psychiatrist and author, Dr. Isaac Kanter, left their home in Warsaw during the Second World War and took refuge in Russia where their son Marek was born. In 1951, Zychlinksy emigrated to New York. She lived there until the last few years of her life, when she moved to Berkeley, California, to join her son. She published several volumes of poetry in Yiddish, among them, Tsu loytere bregn (To clear shores), 1948, Shvaygndike tirn, (Silent doors), 1962), Di November-zun (The November sun), 1977 and Naye lider (New Poems), 1993. 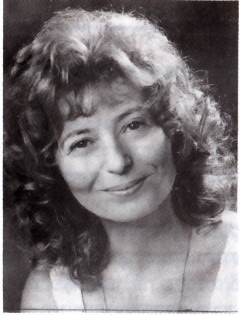 In 1975 she was awarded the prestigious Manger Prize for Yiddish Poetry. The Holocaust is a major theme in her work. A fine selection of her poems has been published in English in the book God Hid His Face: Selected Poems of Rajzel Zychlinsky, translated by Barnett Zumoff, Aaron Kramer, and Zychlinsky’s son, Marek Kanter.